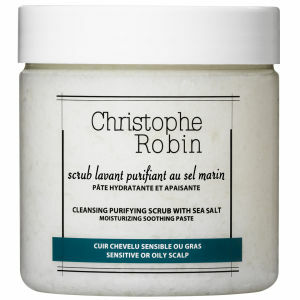 Treat the hair and scalp to Christophe Robin's Cleansing Purifying Sea Salt Scrub; a detoxifying treatment that works to refresh and revitalise. Harnessing the purifying powers of Sweet Almond Oil and Sea Salt (a natural exfoliant), the cleansing formula rebalances sensitive or oily scalps, leaving you feeling refreshed and restored for long-lasting comfort. Ideal for weekly use, or after colouring hair to soothe itching and tingling sensations. Detox treatment: Apply the equivalent of a tablespoon on damp hair. Gently massage the scalp, add a trickle of water then lather, concentrating on the nape of the neck. Rinse thoroughly. 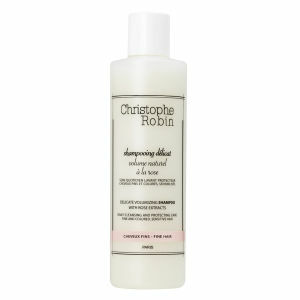 Post-colour treatment: Ideal for eliminating chemical residues that have become embedded on the scalp. Instantly soothes itching and calms irritation. Sodium Chloride, Sodium Laureth Sulfate, Water, Butylene Glycol, Cocamide Mea, Glyceryl Stearate, Peg-100 Stearate, Saccharide Isomerate, Hydrated Silica, Bisabolol, Menthyl Lactate, Prunus Amygdalus Dulcis (Sweet Almond) Oil, Parfum (Fragrance), Phenoxyethanol, Benzyl Salicylate, Linalool, Limonene, Citronellol, Hexyl Cinnamal, Butylphenyl Methylpropional, Evernia Furfuracea (Tree Moss) Extract, Citric Acid, Sodium Citrate. 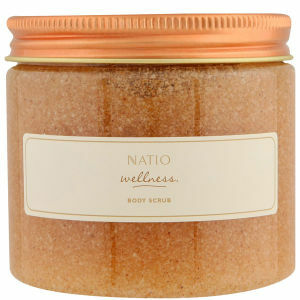 3 for 2 on Natio. Add three qualifying products to your basket and the cheapest item will be free.